A mile north of Spean Bridge on the A82 is the Commando Memorial, which commemorates the commandos who trained here during the Second World War. It's worth lingering for a few moments beside the memorial to appreciate the fantastic views all around. 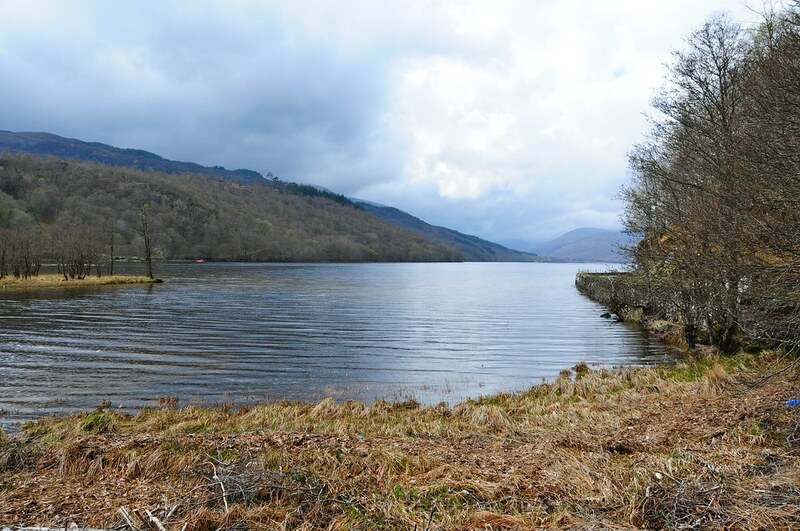 From Spean Bridge the B8004 branches west to Gairlochy, crossing the Caledonian Canal, then the B8005 heads north to Loch Arkaig, a long, deep and mysterious loch stretching west through the mountains. Bonnie Prince Charlie passed this way, before and after Culloden, through an area which has, for centuries, been the seat of the Camerons of Lochiel. 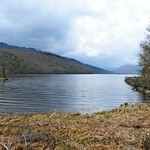 The Camerons were fervent supporters of the Jacobite cause and when Prince Charles landed at Loch nan Uamh, on the road from Fort William to Mallaig, he called on Cameron of Lochiel to join him at Glenfinnan. You can find out all about the Camerons and their involvement in the Jacobite rebellion of 1745 in the Clan Cameron Museum, in the tiny township of Achnacarry, nestled between the shores of Loch Lochy and Loch Arkaig. The museum is housed in an old cottage rebuilt after being burned by government troops in 1746. Info - Easter to mid-Oct daily 1330-1700; Jul-Aug 1100-1730, £3, concessions £1.50, children free. Tel. 712480. Aside from the places listed in accommodation, a good place to eat is the Glenspean Lodge Hotel, Tel. +44 (0)1397 712223. Lunch served 1230-1430 (cheap) and dinner 1830-2100 (expensive). Beyond the turn-off to Achnacarry, the single-track road runs through the Clunes Forest and The Dark Mile, a long line of beech trees which completely cuts out daylight. At the east end of Loch Arkaig, a stone bridge crosses the Caig Burn. Beside the bridge is a car park, from where a path leads up to the spectacular Cia-Aig Falls which tumble into a deep, dark pool known as The Witch's Cauldron. It was here that an old hag was accused of casting her evil eye over Lochiel's cattle, causing them to fall ill and die. But when she fell into the pool and drowned, the cattle miraculously began to recover from their illness. The road runs along the north shore of Loch Arkaig all the way to the head of the loch, from where experienced and well-equipped hill walkers can hike through the glens to Loch Nevis and Knoydart. From Spean Bridge the A86 runs east through Glen Spean to meet the A9 Perth to Inverness road which leads to Aviemore, Scotland's main ski centre. The road passes through Roy Bridge, which is the turn-off for Glen Roy, noted for its amazing 'parallel roads'. These are not in fact roads, but three gravel ledges etched on to the mountains at different heights. The 'roads' marked the shorelines of a glacial lake formed during the last ice age. Roy Bridge was also the site of the infamous Keppoch Murders. The road continues east towards Loch Laggan. After a couple of miles it passes Cille Choirille, an ancient church built by a 15th-century Cameron chief as penance for a life of violence. The church fell into disrepair but was restored and reopened in 1932 and now attracts people of all creeds as it's said to inspire peace and spiritual healing. Further east, at the eastern end of Loch Laggan, is the massive Laggan Dam, built in 1933 to provide water for the aluminium smelter at Fort William. The water is piped through tunnels up to 15 ft in diameter carved through the core of Ben Nevis. The road runs along the north shore of the loch, past the Creag Meagaidh National Nature Reserve, where you can see herds of red deer right by the reserve car park. A track leads from here up to Lochan a' Choire (about four hours). There's no public transport beyond Achnacarry, and there's only 1 bus a day to Achnacarry from Lochaber High School in Fort William. Fishing Scotland, Tel./Fax. 712812, www.fishing-scotland.co.uk, runs fishing courses and trips on the surrounding lochs. Loch Arkaig in particular is renowned for its trout fishing. Hiking and climbing Nevis Guides, Bohuntin, Roy Bridge, Tel. +44 (0)1397 712356. There are buses from Fort William to Roy Bridge (3 times daily Mon-Fri; 1 on Sat). Roy Bridge is also on the Fort William-Glasgow rail line. There are several hotels in Roy Bridge, the Stronlossit inn offers good value home cooking. There are also 3 independent hostels: the Grey Corrie Lodge, Tel. +44 (0)1397 712236, , is handy for shops and transport, serves cheap bar meals and also has laundry facilities. A mile and a half from the village is the cheaper Aite Cruinnichidh hostel, at Achluachrach, Tel. +44 (0)1397 712315. Five miles east, at Tulloch train station, is Station Lodge, Tel./Fax. +44 (0)1397 732333, which also serves meals (including vegetarian).